Over the past few weeks, two separate tree trimming scam reports have been made in Sioux Falls. In both cases, the victims were scammed for more than $3,000 each. The suspect walked up to the victims and offered to trim the victims’ trees since the suspect said he was already working in the area. Unfortunately, neither victim asked to see the suspect’s state sale’s license or City of Sioux Falls peddler’s permit, which all door-to-door sales are required to have. Without those permits, it is illegal to sell goods or services door-to-door. It’s time city ordinance changed and required the city to trim THEIR trees in the boulevards instead of turning property tax paying homeowners into criminals for NOT taking care of city property. If anyone is a SCAM artist, it’s the city. They scammed us into taking care of their property, something we already pay taxes to do. Portland Mayor Ted Wheeler plans to quash an effort by city bureaucrats to quietly expand homeowners’ responsibilities to care for trees on city-owned land. The proposed new rule would have required Portland property owners to cut down dangerous trees on city property adjacent to their land, even if the trees were located far from the private property. A spokesman for Wheeler says he plans to pull the proposed rule and have city employees rewrite it before bringing it back to the City Council for a vote. Notice how they tried to slip in the rule. Makes you wonder if that is how Project TRIM (tree tax) got started in Sioux Falls. Makes you wonder if it is cheaper to use an independent contractor then to have city employees do the work? If that is the case, all the more reason to use contractors to implement a free of charge Project TRIM. 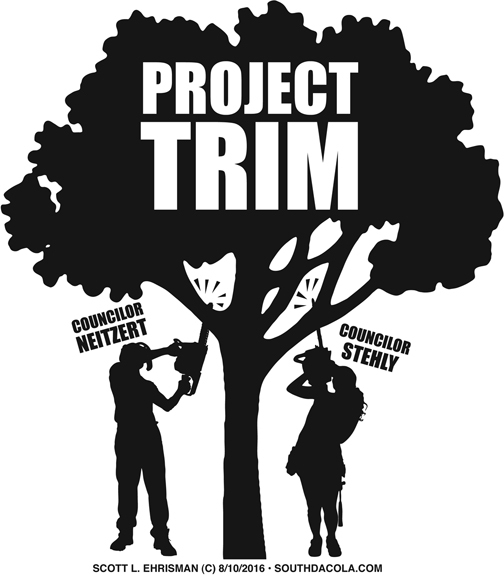 During the December edition of ‘Inside Town Hall’ four city councilors had a discussion about Project TRIM (Or as we call it Project Tree Tax). 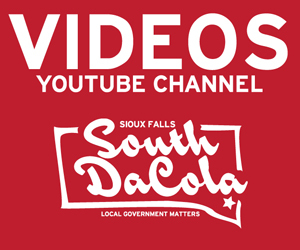 Councilor Staggers of course believes like many cities throughout the Midwest (Brandon, Brookings & Kansas City for example) that the city of Sioux Falls should trim the trees in the boulevard. As a Brandon city councilor brought up in a joint meeting with SF city councilors, “It’s just more efficient and accurate.” then policing homeowners to do it. 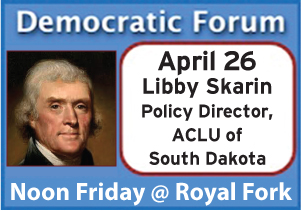 Councilor Erickson believes the way the city goes about policing the policy is cumbersome and could use improvement. But councilors Karsky and Kiley think it works just fine (mailing out vague letters about the trees that need to be trimmed, sending out city employees to tag those properties but not identify the actual branches). 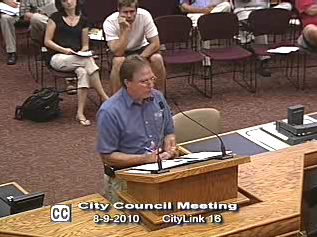 Kiley goes on to say that it would cost to much for the city to trim the trees. That statement in itself is ridiculous. As the Brandon city councilor pointed out, they discovered it was cheaper to contract out a licensed arborist to just go out and trim those trees then to go through the ridiculous process of paying city employees to drive around and tag properties then send out letters when the time could be better spent at just trimming the violating trees to begin with. Then there is the matter of the adjoining property owners not owning those trees anyway because they sit on city property. No surprise to me that Kiley and Karsky would find the process A’ OK as is. Councilors have received calls and complaints from residents about how it’s difficult to know which tree in their yard or boulevard needs to be trimmed. Councilor Dean Karsky asked why crews don’t trim the trees during the inspection. 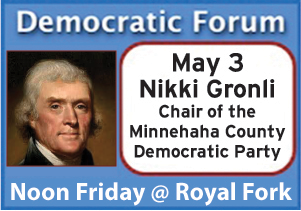 Councilor Michelle Erpenbach said if the issue is communication between public works and parks and recreation, the City Council can’t fix it. She thinks Project T.R.I.M. works well and has made Sioux Falls look better. She is right, the city’s point of view is that it is working just fine, because they are saving themselves $700,000 a year by pushing the cost off on the homeowner. But the city thinks a lot of things are working just fine, just ask the IT department about SIRE and web streaming of the council meetings, it seemed to work just fine to until I ripped them a new one for 45 minutes and suddenly it was ‘broken’. Sorry Michelle, but if we are paying forestry people to inspect trees, we might as well be paying them to trim the treems that are not in compliance. The system is broken, and has been for years. But of course all powerful and all knowing Lady MacErpenbach will reassure the public that we just are not educated enough on Project T.R.I.M. to understand it. Oh, we understand it Michelle. The city is screwing us. SPEARFISH — Tuesday’s general election in Spearfish settled a debate over snow-removal practices, but city officials said Wednesday that residents had better prepare for changes to when the streets get plowed. The new ordinance prohibits city plowing crews from pushing snow into private driveways while cleaning streets after a snowfall. Currently, plows can push snow from the street, which can block driveways along the route. Residents frequently become frustrated when they shovel a path from the garage to the street, only to find the city has plowed it shut later during the day. 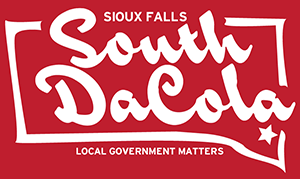 Maybe we should put it on the ballot in Sioux Falls – then we can stop hearing excuses from the Public Works department. Put up or shut up. The Brandon City Council has decided that the city will take care of trimming trees that are in the boulevard; that is, between the sidewalk and the street. The council is so committed to this that they are reimbursing everyone for the last two years who paid for this service themselves, whether the city did the work and billed the resident, or whether the resident hired a private company to do the work. The council reasons that the boulevard is city property; therefore, the trees are city responsibility. That last line is important, it has been my reasoning all along. Don’t trim the boulevard trees and don’t pay the fine, the city has no constitutional right to charge you to take care of their property. City of Sioux Falls, Project TRIM. Ignore it. Duane, the Tree Trimming CZAR. Watch Item #7 in the council meeting last night. If you don’t trim the trees and the city does it (because it is their responsibility) and they send you a bill. Throw it away. Shred it. Burn it. They have no legal recourse. NONE. Ironically, in many other cities like Kansas City and even Brookings, SD, it is ILLEGAL to trim city owned tress in the boulevard. It would be like the SFPD sending you a bill for responding to your police call or the city forcing you to mow the public parks. We pay taxes for a reason. 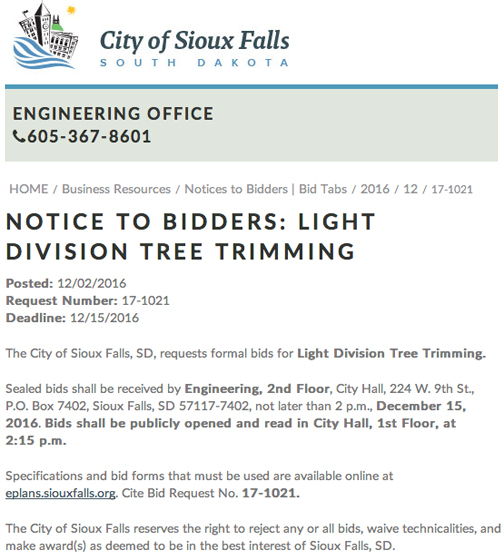 It is obvious that Project TRIM is a boondoggle by the tree trimming businesses in Sioux Falls. They needed the work. End this stupidity. The city is responsible for their property, you are not. 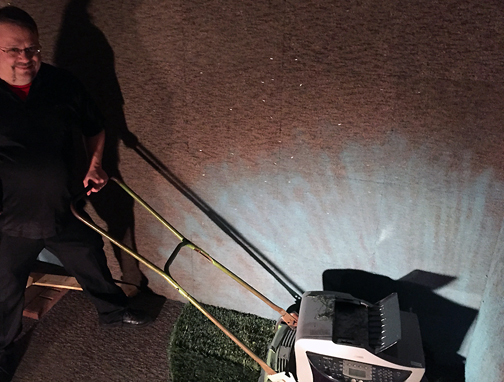 UPDATE: I also encourage you to watch the snow removal testimony. $200 to remove 3 square feet of snow – NICE. The city acts like dictators, but they have no rights to be dictators. A word of advice; If you have to walk in the winter, wear the proper shoes. Duh. UPDATE: Councilor Jamison offered fine amendments and it was a tie vote and the mayor had to break the tie, and he voted against the amendments, I’m sure it had to do with ‘being neighborly’ – What amazes me is that the city expects citizens to maintain their property in extreme weather conditions, but when it rains to much, they allow sewage to backup in people’s basements and blame the weather. Well guess what? This is a two-way street, if you can use the weather as an excuse, so can we. 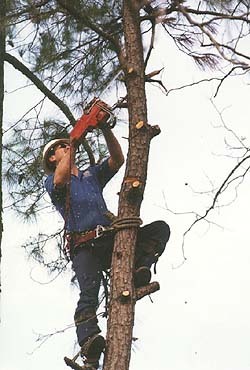 Project TRIM, something one of my friends coined ‘The Tree Tax’ is a failed experiment and should end. All of these people were fined and charged for not taking care of something the city owns and is on city owned property. Wanna talk about fascism? I encourage all the the citizens to not pay the fine. The city can’t sue you for not taking care of something they own and BY LAW are liable for. That’s right, the city is liable for the trees in the boulevard and carry insurance if one of the trees happens to damage snowplows, etc. They have no legal ground to stand on, and they know it. Don’t pay.